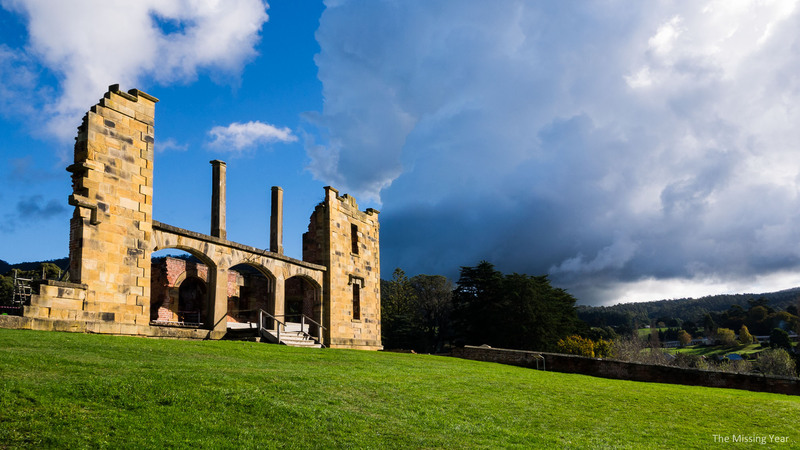 Port Arthur opened in 1830, and part of it still stands today. 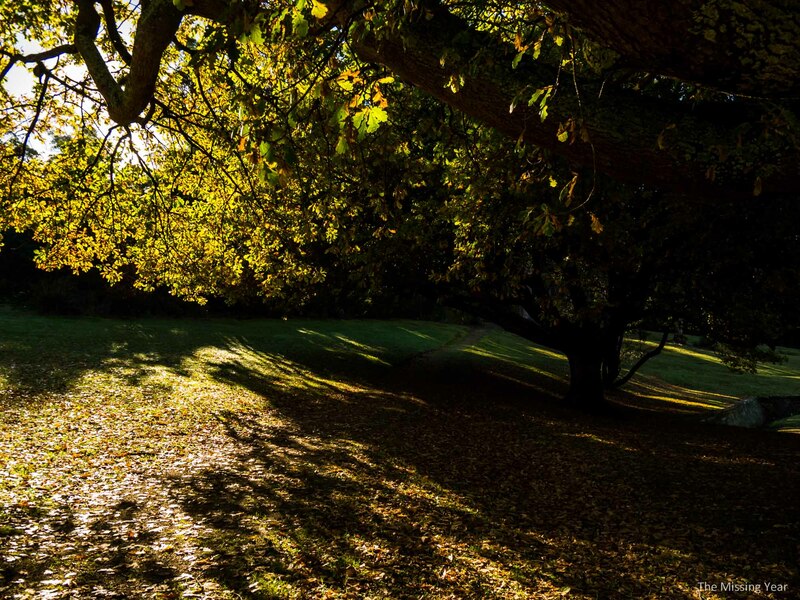 The grounds are remote and isolated, but beautiful. The conditions at the jail were difficult, to say the least. 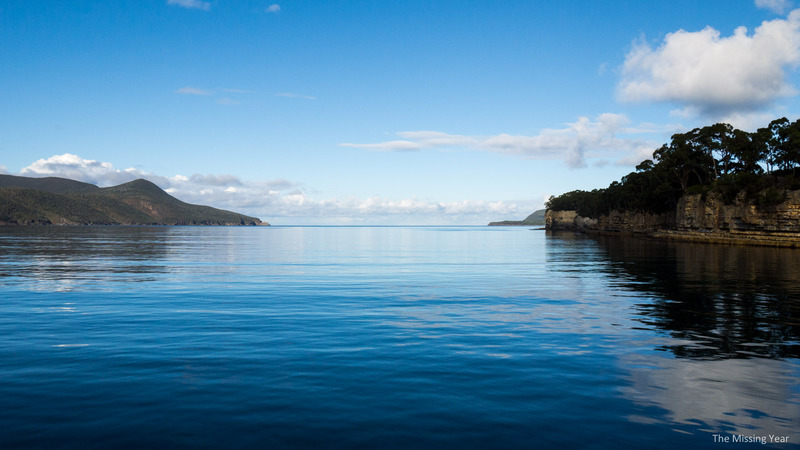 Isolated from civilization, food was sometimes difficult to come by in the remote southern shores of Tasmania, and escape was very difficult. 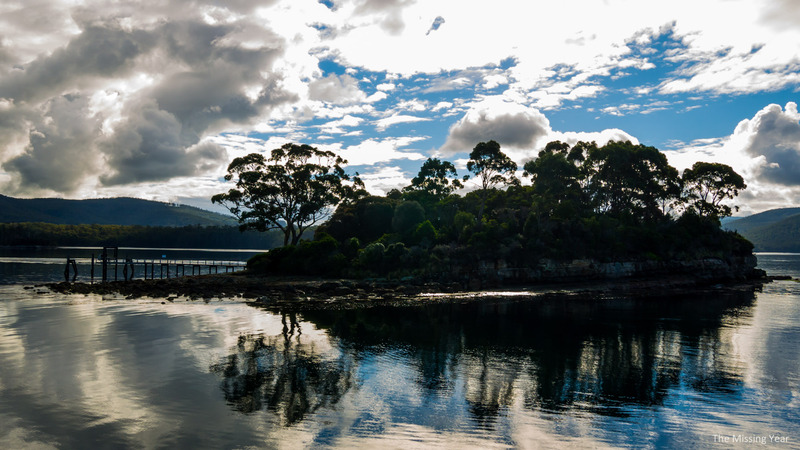 A large swath of wilderness separated Port Arthur from the rest of Tasmania. 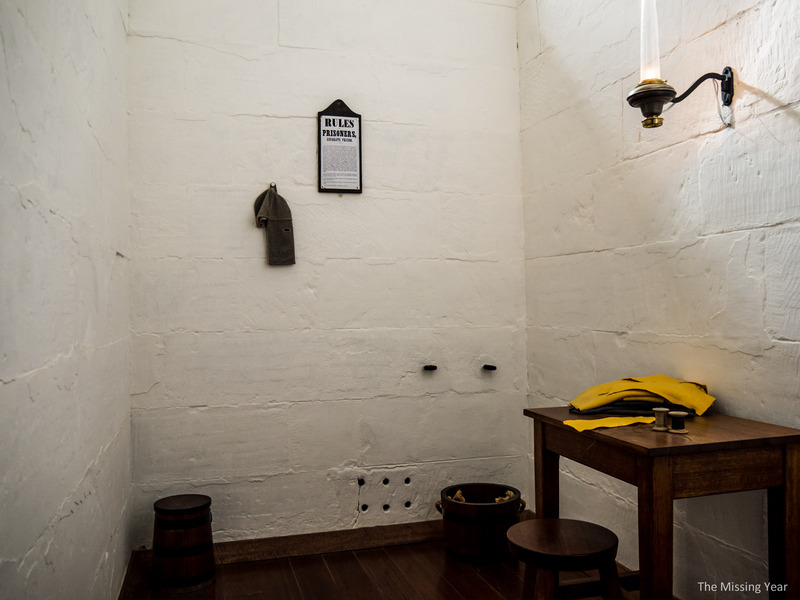 Previously, jails operated on physical punishment to keep prisoners in line, Port Arthur experimented with psychological punishment, including isolation. If prisoners at Port Arthur were becoming a problem, they were sent to this special section. 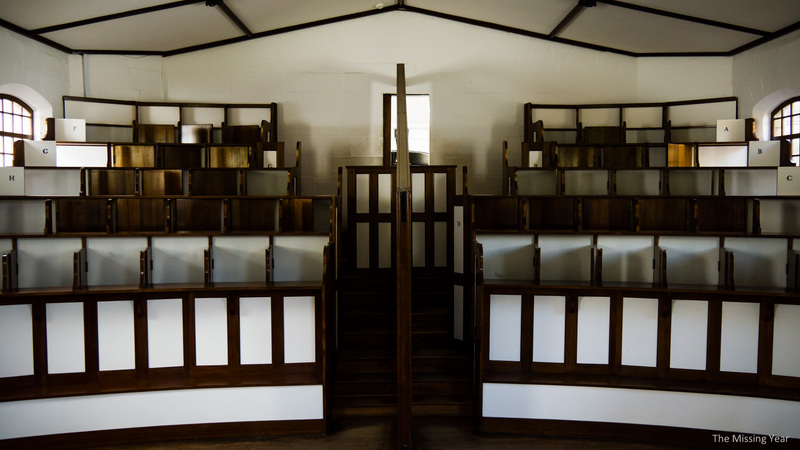 You were still allowed to attend church however, in this specially designed church, which has completely isolated pews. Even the exercise yard in this area was completely isolated. You would spend days, weeks and months without any contact. The psychological abuse often broke prisoners completely. For most normal prisoners here at Port Arthur, you had more or less the run of the place. Because of the isolation there were no formal walls or barriers. Hard labour helped keep the men tired and unwilling to chance escape (that said, many attempts were still made, some successful!). The ocean and dense forest did a great job of reducing desire for escape as well. But it also made the area very scenic to tourists today! Part of the entry to Port Arthur includes a boat tour. 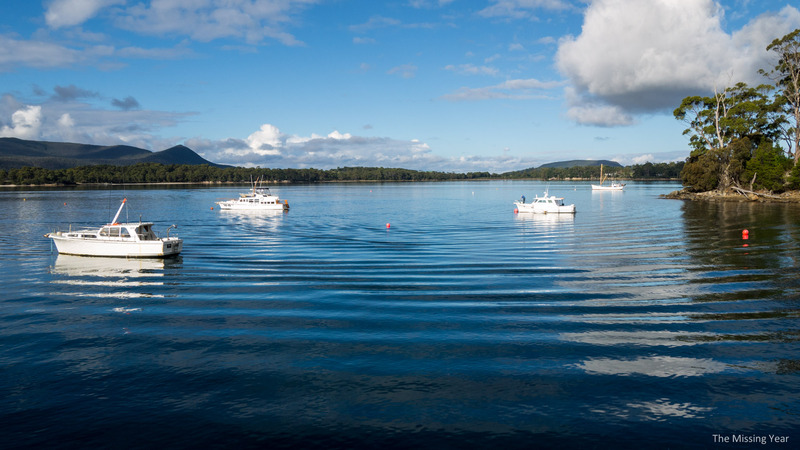 I boarded the boat for the short tour out onto the pristine waters. Across the water from Port Arthur are a few small parcels of land. 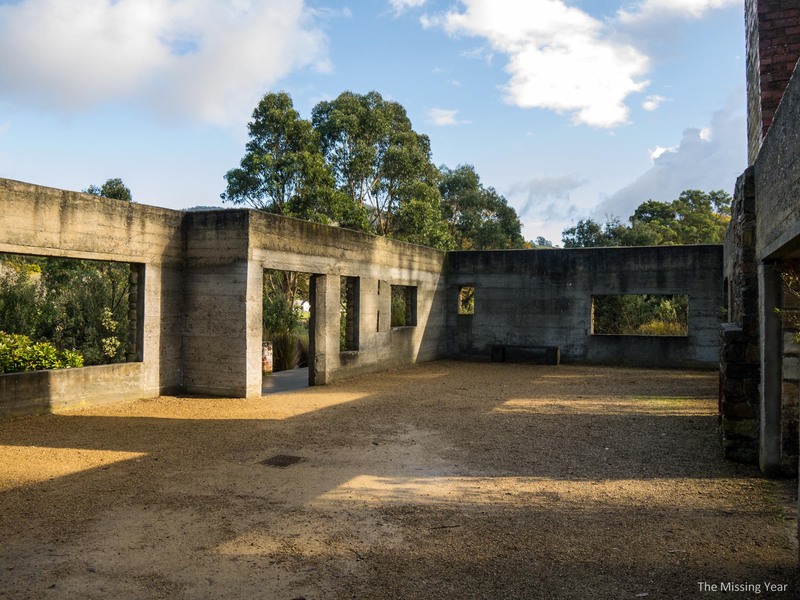 The larger on the right contained a particularly gruesome site – it was for juvenile convicts. 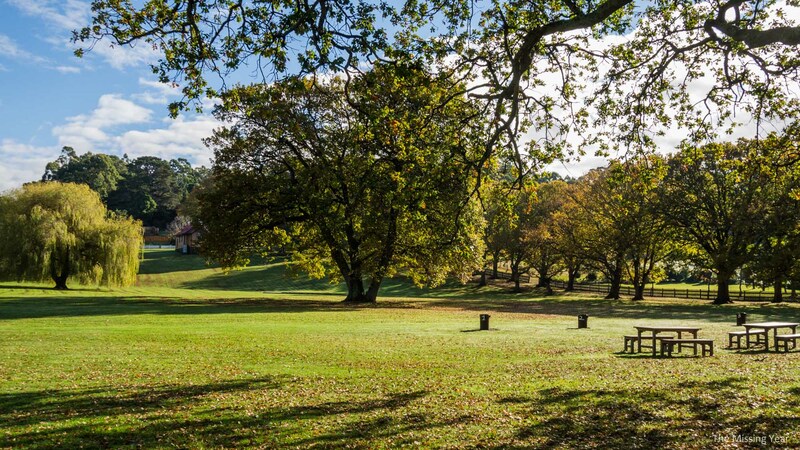 Boys as young as 9 were sent here for punishment, and conditions were exceptionally harsh. The smaller of the two islands was used as a grave site. 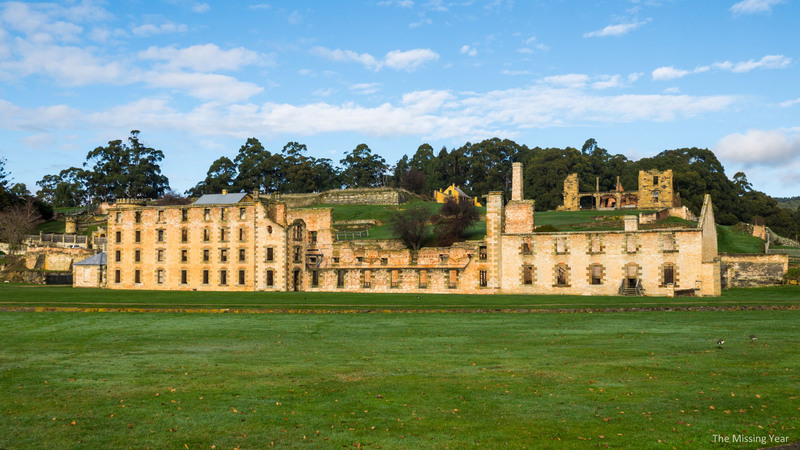 Anyone who died at Port Arthur was buried here, prisoner and staff alike. Only the staff got marked graves however, and there are apparently around 1100 bodies buried on the small island. The path to the open ocean. 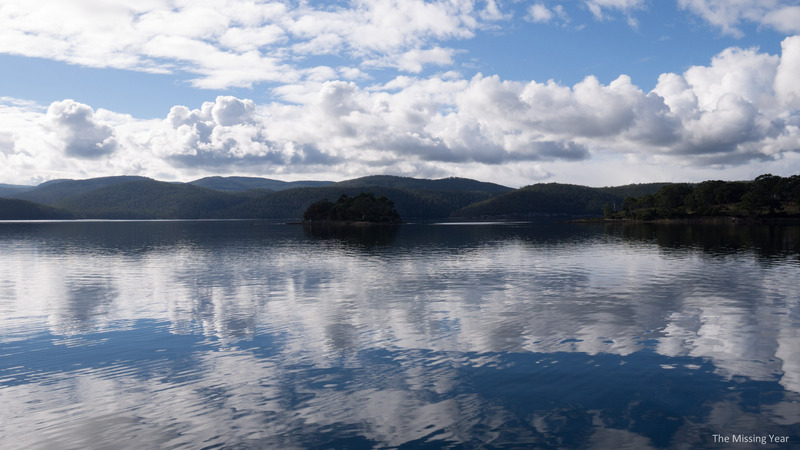 Boats were the only means of bringing supplies to Port Arthur, as the overland track was too difficult and slow. 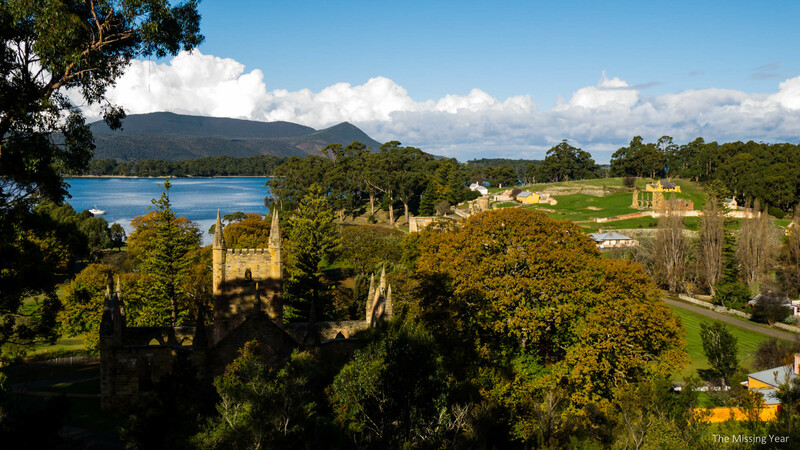 Coming back to picturesque Port Arthur. It really is a pretty spot. The prison itself closed in 1877, and tourism started up shortly after, in part because of the brutal history, in part because of the scenery. However, not all of Port Arthur’s terrible past lies in the 1800s. In 1996, the grounds where the photo below is taken was the site of a cafe and gift shop area where 20 people were massacred and a further 12 injured by a crazed gunman. The unspeakable act was not limited to the cafe/gift shop unfortunately. Including the cafe/gift shop, the gunman killed a total of 35 people in the region. The horrifying event shocked Australia and caused sweeping changes to gun laws (including a full ban of semi-automatic firearms). What remains of Port Arthur today is a shell. Much of the building materials used in the original construction were moved elsewhere for other building projects. Fire was also an issue. Major fires swept through in the late 1800s, destroying much of the woodwork in the area. The stonework remained through the blazes however. 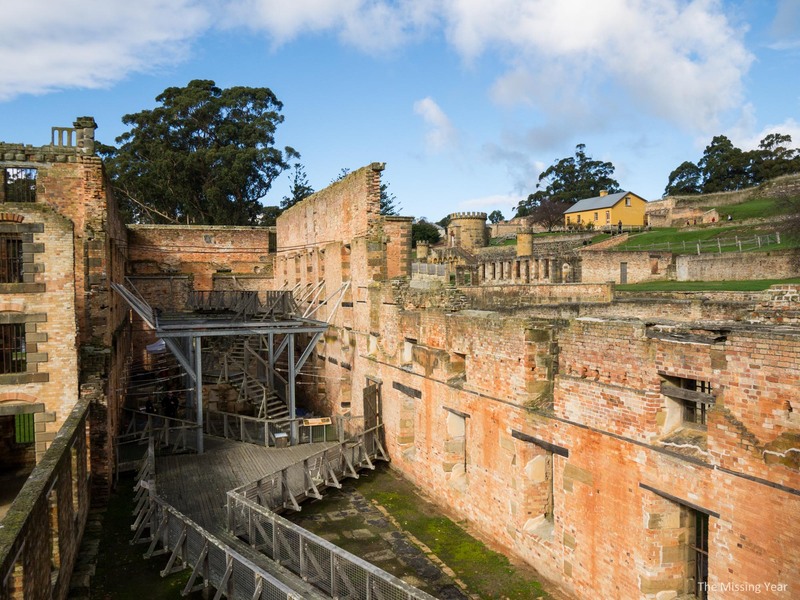 Little remained of the original hospital, situated high upon the hill overlooking the main grounds of Port Arthur. The view from the hospital down to the port. 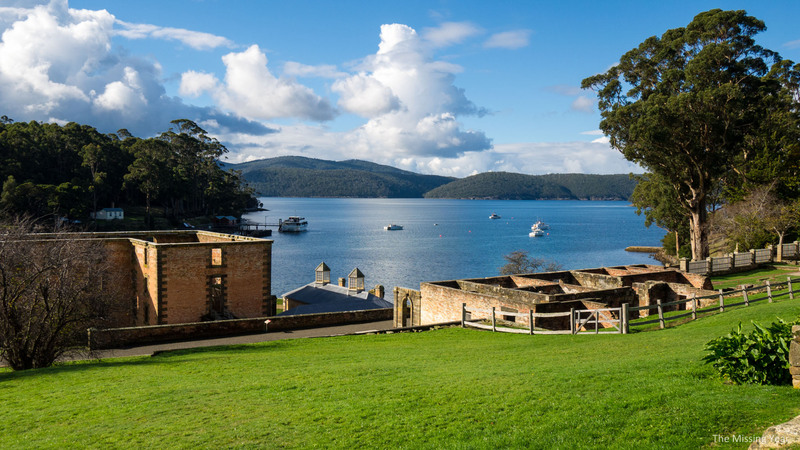 The hard labour employed on the prisoners varied – they even had a shipbuilding yard on the shores, which was one of the more successful parts of Port Arthur. 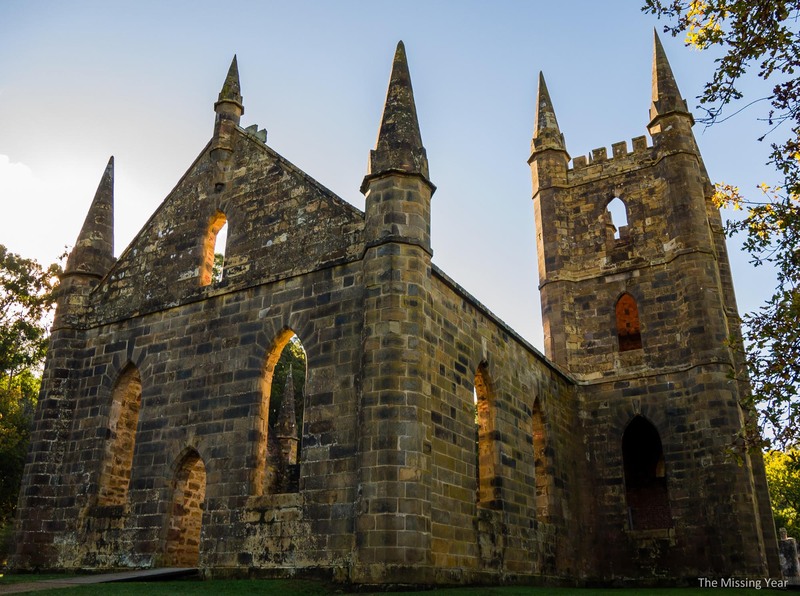 One couldn’t have a prison in Australia without a church, so Port Arthur had a suitably large one. One of the unique qualities of this church was the fact it had not been consecrated, and was non-denominational. 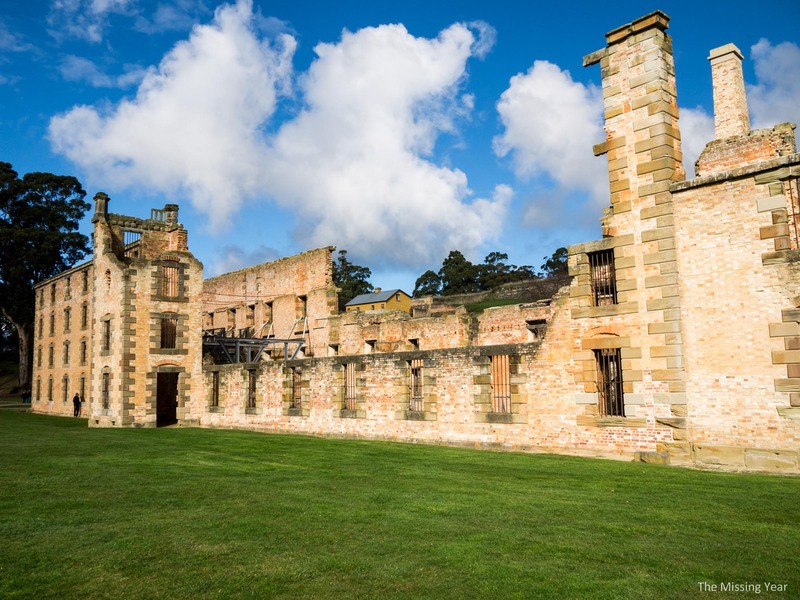 Port Arthur was one of the first prisons in Australia to allow convicts of all denominations to practice religion, not forcing them to conform to one religion. A lovely sheltered path from the church led back to the main grounds, but I turned back at that point for one last look elsewhere. 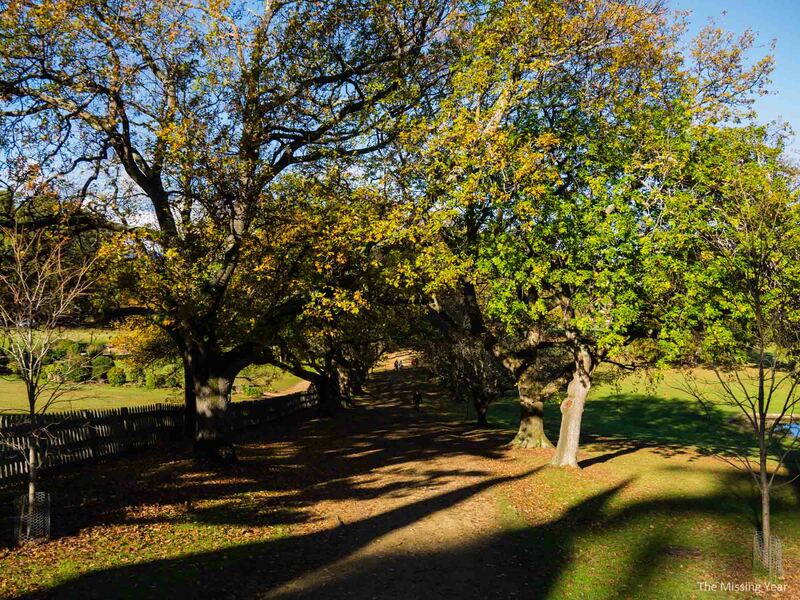 A small leafblown path lead up behind the church to the hill behind. Naturally, I was curious to see if I’d get a good vantage point from up above everything. Thankfully, there was a good little lookout! It’s hard getting a good sense of how much Port Arthur sprawls otherwise, but this is a big area. 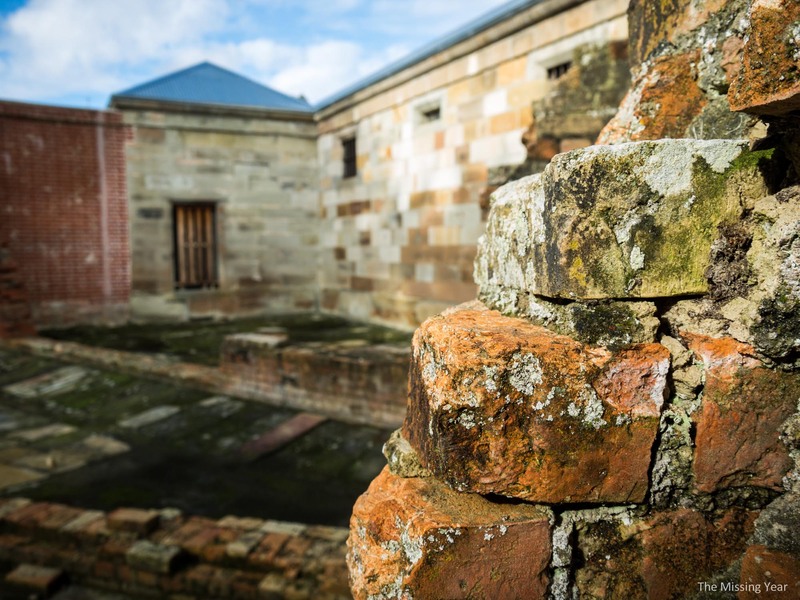 I could have easily spent a second day exploring the grounds, but for now my convict history curiosity was more than sated – it’s a pretty exhausting site to visit for too long, with heaps of information to take in.